I want to restrict the bandwidth for specific IP addresses that connect to the network. I'm confused about what goes in each of the fields seen in the screenshot seen below when setting up the QoS rules. Anyone who has done it before and can help understand what to put in each of these fields? Source IP : Where traffic from. If you set source IP with 192.168.0.1, traffics from 192.168.0.1 will be controlled. Dest IP : Where traffic heads to. If you set dest IP with 192.168.0.1, traffics headed to 192.168.0.1 will be controlled. Source Netmask : Determines range of source IP address. It's according to IPv4 CIDR subnetting rule. Dest Netmask :Determines range of dest IP address. It's according to IPv4 CIDR subnetting rule. Up/Down Floor : Floor is speed that you want to guarantee least. For example, if you set Up/Down Floor to 10Mbps, you can guarantee at least 10Mbps speed for upload and download. Up/Down Ceiling : Ceiling is speed limit. For example, if you set Up/Down Ceiling to 10Mbps, your upload and download speed is limited to 10Mbps, and you cannot use any more than that. Not the answer you're looking for? 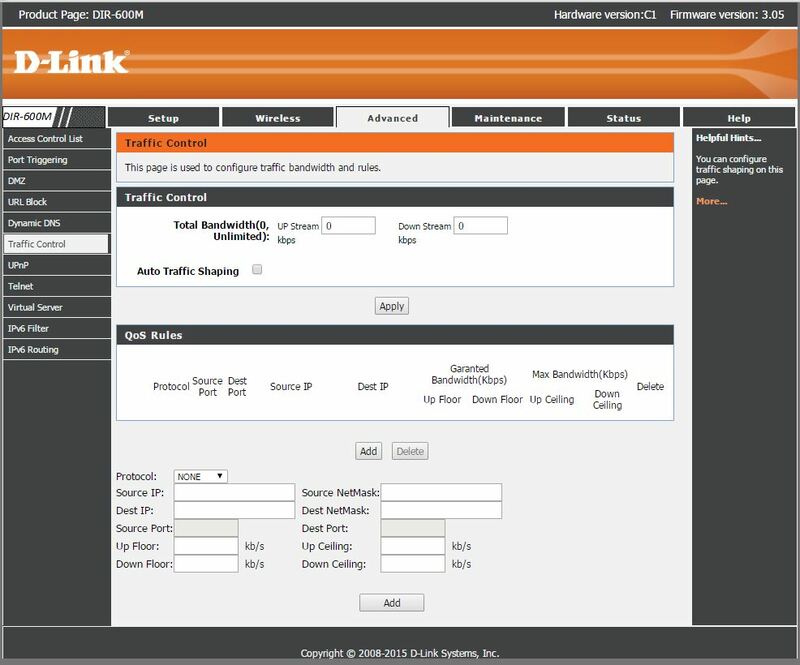 Browse other questions tagged wireless-router ip bandwidth qos or ask your own question. Is there a way to block guest users from closing a certain program? How to use QoS on a Tomato router to share bandwidth evenly between computers on network?